Well ... by now most of you would have got your newsletter in you inbox! 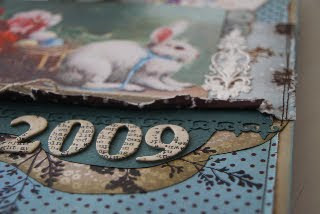 Just a note that I made a small typo on page 2 - Kathie Link is teaching her class on Saturday May 29th at 1.30pm ... not the date in the guest teacher box! Sorry. Also, we forgot to add the 2nd class for the Great Grandmother's book - stay tuned for a date for that one! The new DoCraft magazine came in today so please come in and collect your pre-ordered copy! 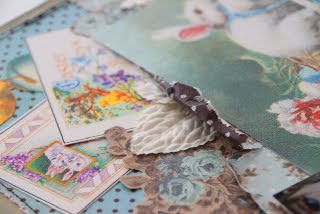 There are so many beautiful products with this issue - some amazing floral stamps, border punches, edge punches, a few albums, sme gorgeous wedding papers, a great range of boy stamps and lots more. Come in soon before it all disappears! And she will put it up on the blog as soon as she finds out! Thank you to everyone who attended our Coffee Cake and Create on Saturday. It was a great day and I think you all walked away with 3 completed projects! Next Thursday at 10am is the first of the Kids School Holidays Classes. 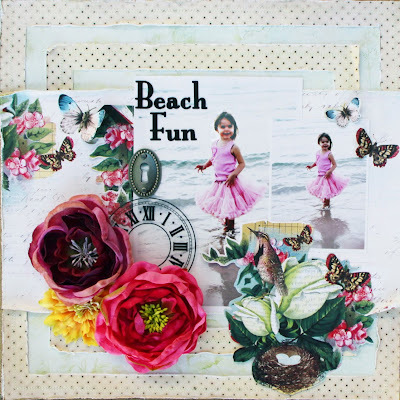 This is a really girly page that they will love doing. The class is only $8 with a $10 kit (title optional extra). They will need to bring 1 or 2 standard size photos. Age is limited to 8+ as they will need to be able to follow instructions and cut to a measured size. Please call the shop on 8277 1298 to book in! 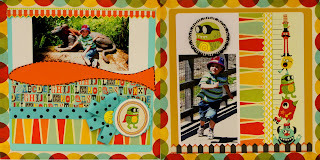 Oh My Golly Gosh .... Have you seen anything as beautiful as this double layout by Steph!!!! 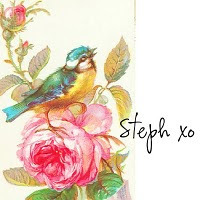 This Monday March 29th, come and join Steph at 7pm for her Album Class. 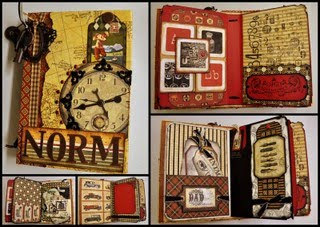 Once a month you will be creating a stunning Double Page using the lovely GCD Homespun collection and Urban Artsy Collections. The album class will run on the last Monday of every month and you'll finish up with an amazing album to showcase your favourite photos! The class neon Monday will be $15 plus a $15 materials kit. Please call the super friendly staff on 8277 1298 to book in. Here is a sneak peek of the April Scrap the Boys Class. 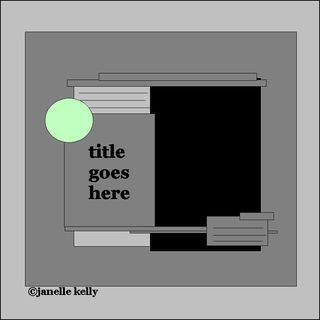 I love making books. This is one I made for my Dad. I still have to get the photos in, but its done. I love teaching books and I have another class on Wednesday this week coming. It is for a new book - a wedding one, no surprises. In case I haven't mentioned it to you. We had our first wedding in the family back in January, so I have lots of photo's. We make the whole book in one day. Starting at 10am and finishing about 4pm -5pm. Its $25 for the class and $45 for the kit. 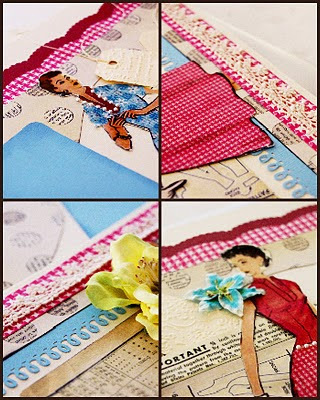 I love making pockets and flaps in my books and lots of tags and stamps. 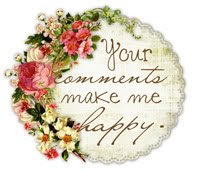 I will be using a range of paper from K&Company. We still have room for a few more if you would like to do it. I will teach it again in the next quarter on a Saturday. BTW - I am starting to work on the new time table and newsletter over the week-end. Lots of you have been asking for it, so no rest for the wicked! Can you believe it is nearly the end of another week? Where does the time go? BUT .... we still have 7 more classes happening this week! 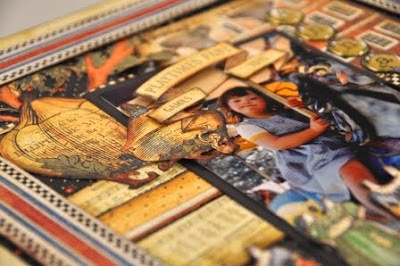 Tomorrow night is My Scrap the Girls Page (see below for a peek) and Steph has a beautiful page then on Friday morning, Jane's Ancestry group 3 will be creating another of her stunning pages! Saturday morning, Steph is doing the most beautiful Easter Page. It is even more beautiful up close so call the super friendly staff and book yourself in now! Saturday will also see Jane doing a 7Gypsies mini boo, I'm doing Cuttlebug Cards using metal and Heathers is doing a page too! This Thursday night is the "Scrap the Girls" class. There are still a couple of spots free to give us a call and book in! Lots of new technique with this one! I love teaching something new! Page Maps is on again tomorrow night ladies. Three great pages to work on. 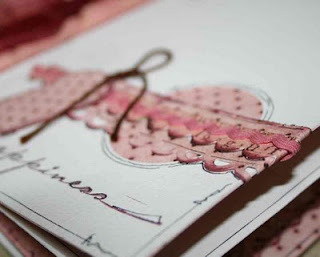 Come and make some cool cards! Just wanted to quickly post this Thursday Night's Class. 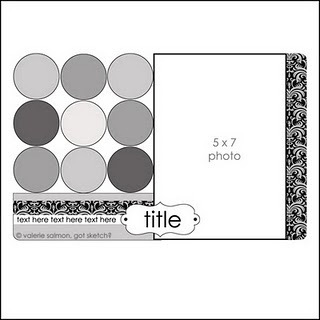 Its easy to create, beautiful and bright and looks fantastic with your boy photos placed on it. If you are interested just give the girls at the shop a buzz. Join us on Saturday March 27th for an afternoon of creating! 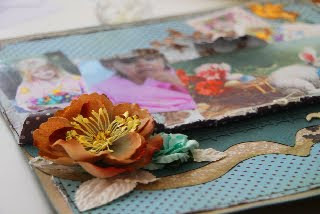 You will make 3 projects in 3 hours and a beautiful afternoon tea is also included. Natalie, Heather and Jane have a great afternoon planned with 3 projects you are going to love. 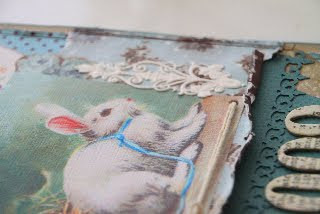 And Heather has created a stunning little card/mini book using the new Prima papers. Spaces are only $45 which includes all of your materials and afternoon tea! Book Now on 8277 1298. Had some spare time last week and I moved the shop around. Not too much, so you can't find anything, but enough to satisfly me. This is what happens every time a do a major creative piece. This time it was 10 pieces for Graphic 45's design team call. We sent the photos monday. After I send my work off, I always feel lost. Its like you have sent a child or someone you love away for a while. I find it hard to settle and so with the creative juices still flowing I feel the need to change things around and so the shop gets the full works. Athough with a bad back I am limited to what I can do. This means I now have a table full of clearance items marked down and quite a few racks of paper (not the racks!) needing to find new homes. Drop in and see us next week. Remember we are closed on Monday. I found out on Saturday that I made the top 20 for Graphic 45 and on monday will be making my final piece to send to them, which I don't get back! This will be my piece for the final round. Out of 20 very talented ladies they are looking for 7. A one in 3 chance does'nt sound to bad. 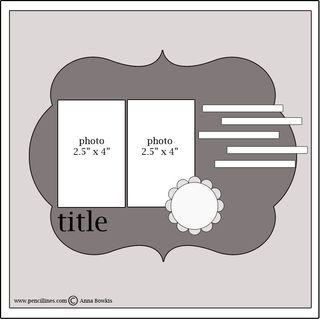 I would love the chance to do some design work for them as their paper is perfect for my style of scrapbooking. Wish me luck! We are doing alot of distressing, sewing and inking in this one. 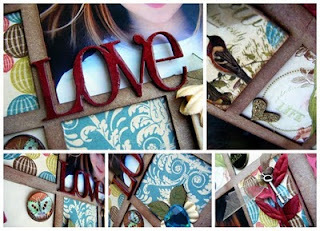 I have used the beautiful Prima patterned papers, a Maya Road acrylic clock and Tim Holtz Brass Keyhole. Feel free to bring your own flowers or alternatively you can purchase some of the beautiful new Prima flowers that arrived yesterday !!!!!! Cost: $15 class & $19 for the kit (less if you bring your own flowers). On Monday 15th March is my next Page Maps Class. This month I have 2 easy layouts and one layout that is a little more tricky!